If Dutch citizens want to gaze on Vincent van Gogh’s iconic painting The Starry Night, they need to travel to New York, to the 5th floor of the Museum of Modern Art where the canvas has resided since 1941.
before my eyes. Wind fills the sky. Until recently, if Dutch citizens wanted to gaze on Vincent van Gogh’s iconic masterpiece The Starry Night, they would need to travel to New York, to the 5th floor of the Museum of Modern Art, where the canvas has resided since 1941. As of this month, however, they can view a Starry Night on their bicycles. 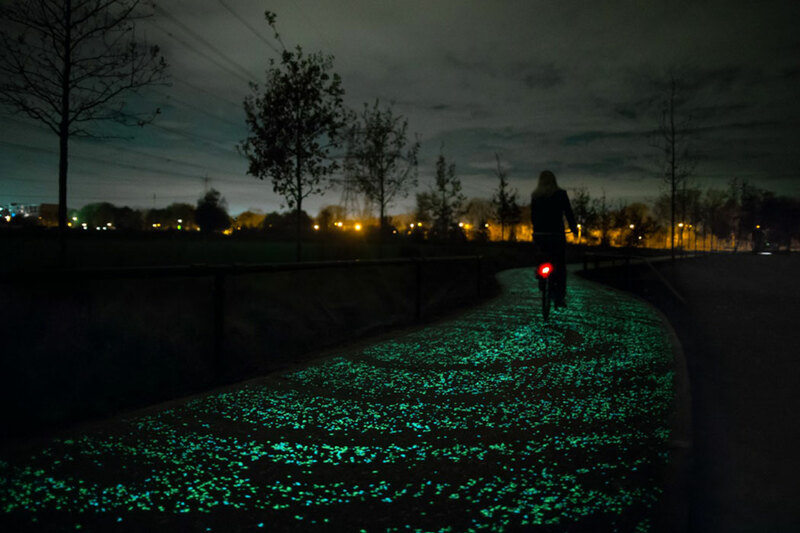 To commemorate the 125th anniversary of van Gogh’s death a 35-year-old Dutch artist, Daan Roosegaarde, has built an homage to the painting in the form of a path in the city of Eindhoven, about an hour and a half from Amsterdam. The half-mile long installation is formed with thousands of solar-powered, green and blue LED lights that mimic the energetic, swirling impasto of the painting, created by van Gogh in 1889, a year before his death. The installation is part of a 200-mile bike route in the Dutch provence of North Brabant that provides cyclists with a self-guided tour of the countryside that inspired many of van Gogh’s landscapes. 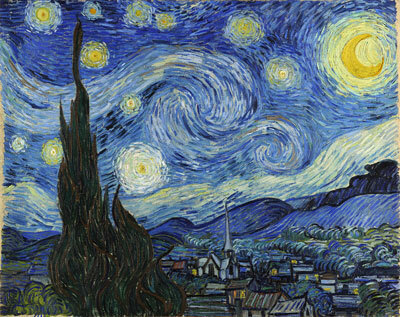 Of course, the dark side of The Starry Night is well-known in art history lore. Van Gogh, who suffered devastating mental illness, was voluntarily confined to an asylum at Saint-Rémy in southern France when he painted the picture, which was a view from the window of his room. Over the decades, there has been much speculation about the meaning of The Starry Night. Some considered it an expression of van Gogh’s profound emotional turmoil, or of deep religious feelings, or even evidence of neurologically based hallucinations. In its 1941 Bulletin, a MOMA curator writing under the pseudonym “B.” (who was likely then-director Alfred Barr) suggested that the painting’s revolutionary style was not so much a result of the artist’s well-documented psychiatric distress as his transition from Impressionism to Expressionism.